It’s cookie season! And there never seems to be enough of them. 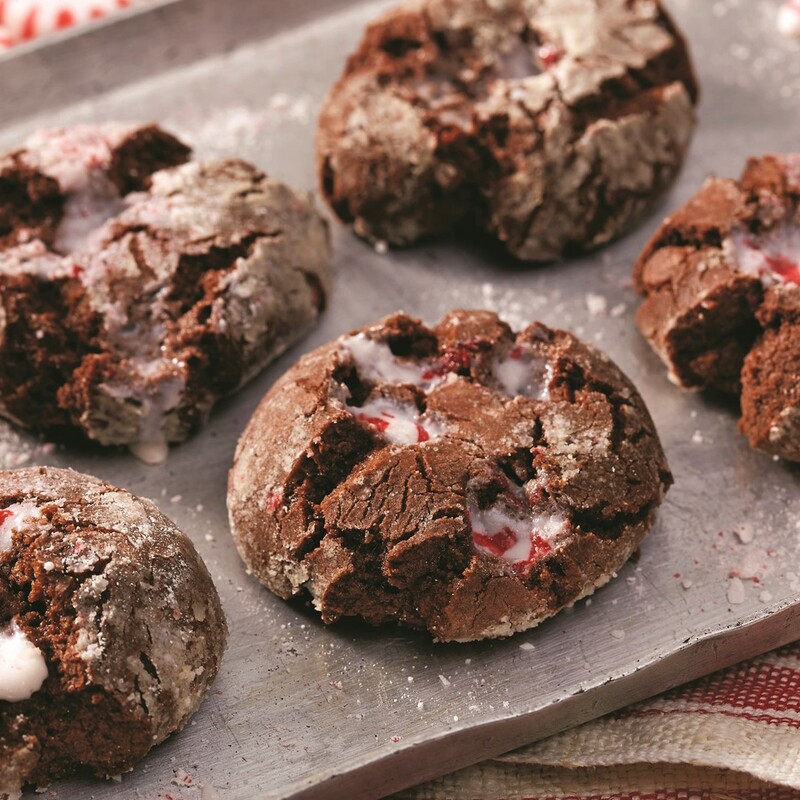 Every year we create or discover new dairy-free delights to share, and the latest to come onto our radar are these chocolate peppermint crinkle cookies. Each decadent, fudgy bite contains a double dose of both chocolate AND peppermint! A treat that will surely dazzle at your next cookie swap – and I won’t tell that they’re dairy-free (and even feasible as gluten-free) if you don’t! 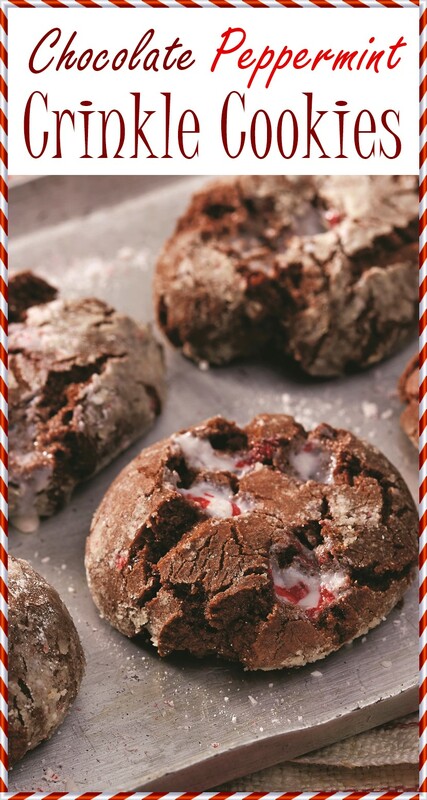 This recipe for chocolate peppermint crinkle cookies was shared with us by the Incredible Edible Egg people. If you confuse eggs with dairy, you’re not alone. See this post: Are Eggs Dairy? 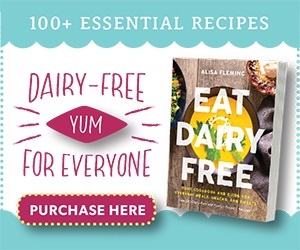 By ingredients, this recipe is dairy-free / non-dairy, nut-free, peanut-free, soy-free, and vegetarian. 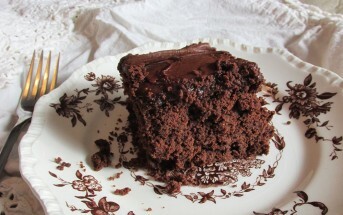 Just be sure to use chocolate chips that are fitting for your dietary needs. We like Pascha chocolate chips, which are dairy-free, soy-free, and made in a top allergen-free facility. For gluten-free and dairy-free chocolate peppermint crinkle cookies, you should be able to substitute your favorite gluten-free flour blend (with or without a binder) for the all-purpose flour. Since the recipe uses quite a few eggs (I wouldn’t recommend trying to substitute the eggs in this recipe as they help with the “crinkle” effect), it should hold up fine with a gluten-free flour blend or even just certified gluten-free oat flour in a pinch! Add the 2 cups granulated sugar, cooled chocolate, eggs, oil and peppermint or vanilla extract to a mixing bowl. Beat on medium speed until blended. Gradually add the flour mixture and beat on low speed until combined. Cover the dough and refrigerate until firm enough to shape, about 1 hour or overnight. When the dough is chilled, preheat your oven to 350°F and line baking sheets with parchment paper. In a small bowl, whisk together the powdered sugar and crushed candy. Place the remaining ⅓ cup granulated sugar in another small bowl. Work with ⅓ of the dough at a time, keeping the remaining dough refrigerated. Shape the dough into 1-inch balls. Roll each ball in granulated sugar first and then in the crushed candy mixture. Place the coated dough balls 2 inches apart on your prepared baking sheets. Bake until lightly browned, 8 to 10 minutes. Let the cookies cool on the baking sheets for 1 to 2 minutes before removing them to wire racks to cool completely. Made a gluten free version today. The dough sat in the refrigerator all night and was a bear to work with. I had to let it set and warm to room temp before I could begin working it. In the end they came out well but I only yielded 3 dozen. See my Facebook pages linked below for photos of the results. Thanks for sharing & Happy Holidays. Thanks for sharing your gluten-free feedback Robert. I’m glad they still worked out well for you! 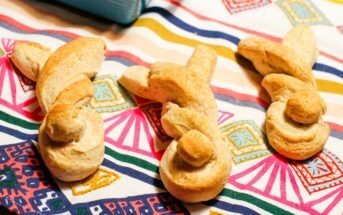 I made these over the weekend and they are excellent!! Everyone in my house is loving them!! Fabulous! Happy to hear they were loved by all. Thanks for the feedback Denise! 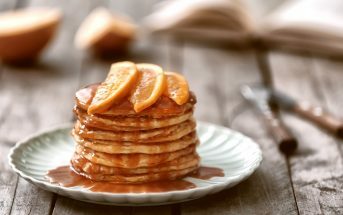 Hi, can I substitute the granulated sugar for a different sweetener? Maple syrup or honey or coconut sugar or even cane sugar? Cane sugar is granulated sugar, so that will work perfectly! Coconut sugar will work, but will be less sweet and not quite the same in flavor. I wouldn’t sub in a liquid sweetener – stick with a granulated sweetener. Thanks Alisa. I went with cane sugar for rolling and in the recipe. Quick question, are the cookies supposed to be soft in the middle, almost like doughy? I like it that way but just want to make sure they are supposed to be like that. Baked for 8 minutes. Thanks! Hi Andrea, they should be soft, but not doughy. You may want to bake just 1 minute longer next time. What temp do these cook at? Those look delicious! 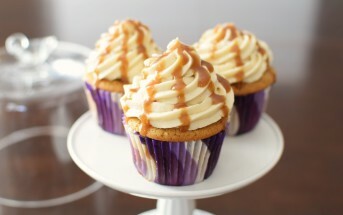 I plan on doing a lot of baking this holiday season…I think I am going to add these into the mix! People are often quite surprised by oil-based cookies! 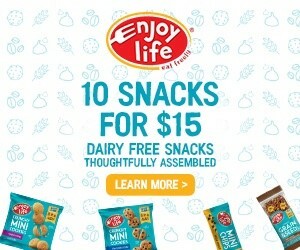 I do most of mine with oil, including chocolate chip, and people LOVE them – dairy-free or not – especially kids oddly enough.